Samuel Thomas Alexander (October 29, 1836 – September 10, 1904) co-founded a major agricultural and transportation business in the Kingdom of Hawaii. In November 1831, the Reverend William Patterson Alexander (1805–1884) and Mary Ann McKinney Alexander (1810–1888) arrived in April 1832 as missionaries to the Hawaiian Islands. Samuel Thomas was born October 29, 1836 at the Waiʻoli mission in what is now Hanalei on the northern coast of Kauaʻi island. In 1843 the family moved to the Lahainaluna School, where they became friends with the family of Dwight Baldwin who had arrived in the previous company in 1831. Alexander's education was sporadic; he went to Punahou School for various times between 1841 and 1859 In 1857 he and Frederick S. Lyman (son of missionary David Belden Lyman) went to California in a late wave of the California Gold Rush, but came back empty handed. He then went to Williams College for one year, and then Westfield School in Massachusetts. He followed his father's footsteps and taught at Lahainaluna briefly. In 1863 Alexander became manager of the Waiheʻe sugarcane plantation near Wailuku, hiring Henry Perrine Baldwin (1842–1911) as assistant. On January 26, 1864 Alexander married Martha Eliza Cooke, daughter of Amos Starr Cooke, one of two former missionary who founded the Castle & Cooke company. Abigail Charlette Baldwin (1847–1912) married his older brother William DeWitt Alexander (1833–1913) in 1861. William was a teacher and then president of Punahou School. In 1869 his sister Emily Whitney Alexander married Henry Perrine Baldwin. In 1870 he formed the Pāʻia plantation under the name Samuel T Alexander & Co. With Baldwin, he purchased 561 acres (2.3 km²) between Pāʻia and Makawao, where they cultivated sugarcane. In 1871 Alexander managed the Haʻikū sugar mill which had been constructed in 1861 by Castle & Cooke. The Reciprocity Treaty of 1875 removed tariffs on sugar exported to the United States. But to raise their production a steady supply of water was needed for the semi-arid dry forests of Pāʻia. Alexander realized that rain was plentiful miles away in the rainforests on the windward slopes of Haleakalā mountain. Alexander proposed a 17-mile-long (27 km) irrigation aqueduct that diverted water from that part of Haleakalā to their plantation. Alexander knew about irrigation systems used since ancient Hawaii while he was at Lahainaluna, but this was on a much larger scale. He negotiated a lease of water rights from King Kalākaua and raised financing from other partners. It was initially a 20-year lease for $100 per year. His brother James did a survey. Work started on the aqueduct in 1876 and was completed two years later in 1878 (at over three times the estimated cost), just before a deadline in the lease. 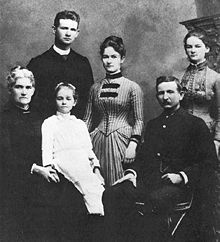 In 1883 the Alexander family moved to Oakland, California, to get medical attention for his father, who died there August 13, 1884. After completion of the aqueduct, the company grew by selling water to adjacent plantations, and was eventually renamed Alexander & Baldwin Plantation. In 1884 Alexander arranged for the partners to buy the small American Sugar Refinery in California, and later organized a group of Hawaiian planters called the Sugar Factors which became the California and Hawaiian Sugar Company (C&H). Between 1872 and 1900, the company took over more land and sugar mill operations. In 1898, Alexander and Baldwin purchased a controlling interest in one of its rival companies, Hawaiian Commercial & Sugar Company (HC&S) from Claus Spreckles. By 1899, the company bought two of Maui’s railroad lines. On June 30, 1900, Alexander & Baldwin, Ltd. was incorporated. Alexander left running the company to others, and became an adventurer. In 1893 he bicycled through Europe. He traveled through the Pacific Ocean in 1896, including the Marquesas Islands where his parents traveled before he was born, China, and Japan. He also had a winter home on Maui called Olinda, and a summer home in Shasta County, California. Alexander & Baldwin became one of the "Big Five" corporations that dominated the economy of the Territory of Hawaii. A&B is listed on the New York Stock Exchange and was added as part of the Dow Jones Transportation Average after purchasing Matson Navigation Company. It continues to produce sugar and operates a museum on Maui. Alexander had two sons and three daughters. Wallace M. Alexander went on to serve as chairman of Alexander & Baldwin and as a trustee of Stanford University, as director of the California and Hawaiian Sugar Company and Pacific Gas and Electric Company, and died November 22, 1939. Wallace's daughter Martha Alexander Gerbode (1909–1971) became an environmental activist and philanthropist. Alexander's daughters were Juliette Alexander (1865–1948), Annie Montague Alexander (1867–1950), and Martha Mabel Alexander (1878–1970). A second son, Clarence Chambers, died young (1880–1884). In 1904, Samuel Alexander arranged a trip with daughter Annie and Thomas L. Gulick, son of another missionary Peter Johnson Gulick (1796–1877). The men were looking forward to hunting big game in Africa, while Annie was developing an interest in paleontology. Gulick became ill and died August 15, 1904 in Kijabe, Kenya. On September 8 the Alexanders reached Victoria Falls. The next day they crossed the Zambezi river and climbed down the canyon for a better view. While posing for a picture, Samuel was hit by a boulder tossed down from workers above that crushed his foot. He was buried at the Old Drift cemetery after dying a day later on September 10, 1904. Annie continued to go on expeditions through her 80th birthday, and founded two museums. He also has a monument in Mountain View Cemetery in Oakland where other family members are buried. Martha Mabel married John Thomas Waterhouse (1873–1945) in 1900. The swimming pool at Punahou School was named for their daughter Elizabeth Pinder Waterhouse (1903–1920) who was a student there when she died. The track field is named for Samuel. ^ James McKinney Alexander (1888). Mission life in Hawaii: Memoir of Rev. William P. Alexander. Pacific Press Publishing Company. ^ Orramel Hinckley Gulick (1918). The pilgrims of Hawaii: their own story of their pilgrimage from New England. Fleming H. Revell company. pp. 341–347. ^ Punahou School (1866). Catalogue of the teachers and pupils of Punahou school and Oahu College for twenty-five years: ending 1866, with an account of the quarter century celebration held at Punahou June 15th, 1866. Printed by H.M. Whitney. p. 5. ^ Ralph Simpson Kuykendall (1965) . Hawaiian Kingdom 1778-1854, foundation and transformation. 1. University of Hawaii Press. p. 320. ISBN 0-87022-431-X. ^ "Survey of Missions of the Board: The Hawaiian Islands". The Missionary herald at home and abroad. LXI. American Board of Commissioners for Foreign Missions. January 1865. p. 9. ^ "Our company: History". on Alexander & Baldwin corporate web site. Archived from the original on 2009-07-13. Retrieved 2010-04-26. ^ Robert M. Kiger (May 27, 1985). "Haiku Mill nomination form". National Register of Historic Places. National Park Service. Retrieved 2010-01-18. ^ Ralph Simpson Kuykendall (1967). Hawaiian Kingdom 1874-1893, the Kalakaua Dynasty. 3. University of Hawaii Press. p. 64. ISBN 978-0-87022-433-1. ^ Carol Wilcox (1998). Sugar Water: Hawaii's Plantation Ditches. University of Hawaii Press. ISBN 978-0-8248-2044-2. ^ George F. Nellist, ed. (1925). "Alexander, Samuel Thomas". The Story of Hawaii and Its Builders. Honolulu Star-Bulletin. ^ Thomas Kemper Hitch; Robert M. Kamins (1992). Islands in transition: the past, present, and future of Hawaii's economy. University of Hawaii Press. p. 92. ISBN 978-0-8248-1498-4. ^ "HC&S History - The Company". web site. Hawaiian Commercial & Sugar Company. Archived from the original on December 15, 2012. Retrieved October 20, 2010. ^ Nancy J. Morris (1979). "Hawaiian Missionaries in the Marquesas". Hawaiian Journal of History. 13. Hawaii Historical Society. pp. 46–58. hdl:10524/498. ^ a b Barbara R. Stein (2001). On Her Own Terms, Annie Montague Alexander and the Rise of Science in the American West. University of California Press, Berkeley. ISBN 978-0-520-22726-2. ^ Mary Kawena Pukui and Elbert (2004). "lookup of olinda". on Place Names of Hawai'i. Ulukau, the Hawaiian Electronic Library, University of Hawaii. Archived from the original on 2012-08-01. Retrieved 2010-04-28. ^ David L. Durham (November 2000). Durham's Place Names of California's North Sacramento Valley: Includes Butte, Glenn, Shasta, Siskiyou & Tehama Counties. Quill Driver Books. p. 207. ISBN 978-1-884995-34-7. ^ "Dow Jones Transportation Average". official web site. Retrieved 2010-04-28. ^ "Sugar on Maui". Alexander & Baldwin Sugar Museum web site. 2008. Retrieved 2010-04-28. ^ "Memorial resolution: Wallace M. Alexander (1869-1939)" (PDF). Stanford University web site. Archived from the original (PDF) on 2010-07-07. Retrieved 2010-04-27. ^ Bailey Millard (1924). "Wallace McKinney Alexander". The San Francisco Bay Region. The American Historical Society, Inc. pp. 249–251. ^ George F. Nellist, ed. (1925). "Alexander, Wallace McKinney". The Story of Hawaii and Its Builders. Honolulu Star-Bulletin. ^ "Alexander Bequests Disclosed". Berkeley Daily Gazette. December 14, 1939. ^ Harriet Nathan (1995). Martha Alexander Gerbode (1909-1971), environmentalist, philanthropist, and volunteer in the San Francisco Bay Area and Hawaii. Bancroft Library, University of California, Berkeley. ^ James M. Alexander (December 1904). "The death of Mr. Samuel T. Alexander". The Friend. LXI (12). p. 5. ^ David Johnson (August 8, 2006). "Mountain View Cemetery, Oakland, Alameda County, CA". California Tombstone Project, US Genweb archives. Archived from the original on 2011-08-16. Retrieved 2010-04-27. ^ Walter F. Dillingham (March 1924). "Punahou's Physical Plant and the Goodhue Block Plan". The Friend. XCIV (3). p. 66. ^ "Punahou School: Alexander Field". 2011-07-20. Archived from the original on 2011-07-20. Retrieved 2018-08-07. Arthur Lyman Dean (1950). Alexander & Baldwin, Ltd. and the predecessor partnerships. Alexander & Baldwin. This page was last edited on 29 January 2019, at 15:20 (UTC).